In late 2011, Carly Rae Jepsen became famous with a single tweet from Justin Bieber. Her song “Call Me Maybe” took off in 2012 with the music being lip dubbed by many celebrities at first. Heading into the summer, many people were doing their own lip dubs and parodies. It was a big hit at the time and the meme itself peaked in June 2012. It has seen a very steady decline but I recently saw a new version that got me laughing. The Japan National Tourism Organization (JNTO) got into the spirit and at the end of 2012 they got lots of city mascots to create their own lip dub versions in collaboration with Universal, the Japanese label for Carly Rae. I never really cared for the Call Me Maybe meme but this is the one time that I did enjoy it. Below are some fun videos to check out. This was my favourite one between western and eastern Japan. I enjoyed the playfulness of the mascot and using the airport. It is one of the better produced videos. This one won the best video award from Carly Rae Jespen herself. The dancing was pretty good. Kumamon is the most popular city mascot at the moment. I liked the video in general but the song was getting a little tired when I watched this. This entry was posted in Japan and tagged Call Me Baby, Call Me Maybe, Carly Rae, Carly Ray Jespen, japan, Japan National Tourism Organization, Japanese mascot, Japanese mascots, JNTO, Mascot, Mascot in Japan, mascots, Mascots in Japan, Tourism, Universal, Universal Music, Universal Music Japan by Dru. Bookmark the permalink. The mascots are cute, but that song? Yikes. I got bored after barely one minute. My favourite part is the dance in Kyoto, where the sumo wrestler is dancing with the group. 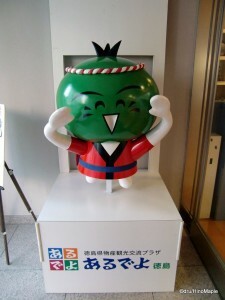 It’s interesting that Tokyo doesn’t have a city mascot. Perhaps it’s simply too big and too diverse? Thanks for this fun post. I enjoyed the song … I mean … the mascots and their dances. What do you expect from a pop song? It is supposed to be catchy with a lot of fluff. I think the song fits the bill. I liked the sumo wrestler too. I liked the Tokushima one because they had the traditional dancers with it. Gunma, horse, of course. Kadogawa, I think she’d be living there if she got the chance. 🙂 Oh, I also don’t understand Kumamon’s appeal, but he kinda fits the look of cute and mischief that makes a character endearing.